Firstly the Battle Suits look cool, I love the way that they are standardised across the army but modified for particular purposes (combat, long range etc). They look tough and resilient (which is reflected in the rules) and having the flexibility of shots is incredibly useful letting them adapt to the battlefield or opponent. I also really liked that whilst the pilots are humanoid in shape the suits themselves are not, it makes them seem more tool or equipment esq rather than just being some plating strapped on to a body. In complete contrast to the hardiness of the suits are the incredibly vulnerable looking outcasts, who look rather comical and inept. Learning that they are the pilots of the suits amused me and I really liked the idea that due to the way they were bred and created they actually fined the confines of the suits greatly comforting. The ability to have waves of them to act as distractions will also be fun in game, give the opponent the option of soft targets that are easy to kill or less big targets that may easily shrug off any damage. The poses will also be nice to break up the suits similar appearance and add more character in to the army. Other aspects that appealed were the use of old, unstable tech immune to newer weapons electronic effects and the dreaded distort dice giving a nice unpredictable element to both me and my opponent but something I can counter act with my cheap infantry and the option to run them for short periods with 2 order dice due to the plasma amps. Perfect for turns when I need them to do a lot. Ghar battle squad with amps – its compulsory but even so, really tough, flexibility in shooting looks cool, was highly tempted for 2 units, but think they will be added later. The plasma amps help with the low count of order dice just need to choose the right time to activate them so they don’t burn out too soon. 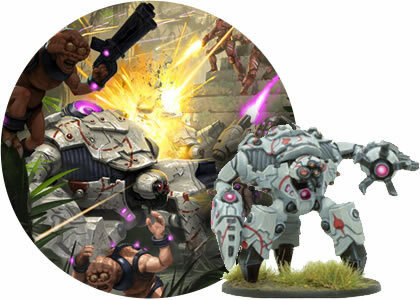 Ghar Assault squad with amps – similar reasons to the above battle squad, the gouger could be good for forcing down on units but is also harder to hit with and limited in range so may be better to just run and get into combat, I shall have to see. Tectorists – something to help with the gouger shooting (and anything else close) gives a reroll and more range than skitters, also being shard they can split up to cover more area and be a bit more of a pain to remove. The models look interesting with the extra gear on the scrawny outcasts and should be great fun to paint. They also give me an option for the distort dice to be dumped on especially when in position as being down doesn’t affect their ability and being hard to hit would be a good thing. 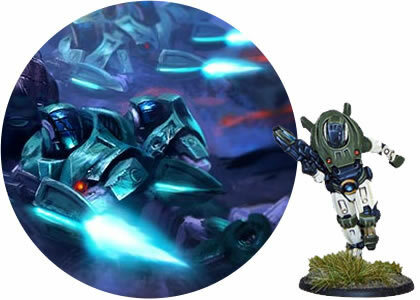 Outcasts – I really like the fodder aspect of them, the wave of disposable infantry to overwhelm while suits get into position. 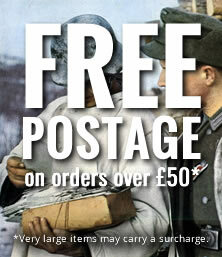 The poses are really characterful and should break up the more rigid look of suits in the army. Game wise they look like they can move through terrain far faster than suits so hopefully can grab objectives. They are also cheap, good for distort dice. It’s also nice to see the Ghar without the suits on, revealing them to be the squishy little humanoids they really are. We played the drone integration scenario through 4 times in total, twice with the scenario rules and twice with the full rules. 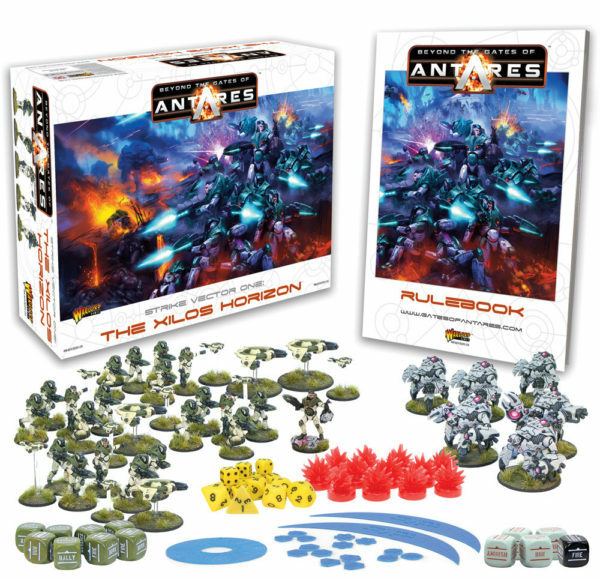 The scenario rules we a nice simplified version of the rule set allowing us to get to grips with basic principles of Antares and the system through the scenario of concord forces taking control of a downed drone and controlling a central teleport pad against the encroaching Ghar force. In my game against Brett I took control of Concord and having watched Artur and Jonathan I knew I had to get a squad to the Drone as quickly as possible which I did, leaving the other squad to guard the pad. They made it and from turn two I had the drone, one shot, one dead battle suit and a failed moral test, Ghar squad 1 was gone and the pressure on the pad eased. Could I do the same the next turn and take the lead? No, concord troopers were disappearing now, and pin markers flying around the board. I moved everything back towards the pad firing as I went, a second Ghar squad down but with loss of one of my own. The final turn I could do this now, the ghar were heavily pinned so unable to hit anything and my 2 remaining squads made it back onto the landing pad to finish the Game a victory! Playing through with full rules made it rather different, I took over ghar this time and admired the hardiness of the suits, shrugging small arms off easily. But that Combat drone was another matter and the pins coming at them caused some issues, definitely need to consider bigger squads of suits to avoid break tests and the like. The distort dice was very interesting, taking a random unit out each round was something that took getting used to, but also could be very tactical especially when dumped onto a defending unit making you reroll against them. I am quite fussy when it comes to choosing a faction in any game and even a small perceived drawback can put me off. Boromites were a pleasant surprise, I have to admit that. Quite unusual looks and a very underdog working class feel? Check. A relative variety of units, weapons and battlefield roles? Check. 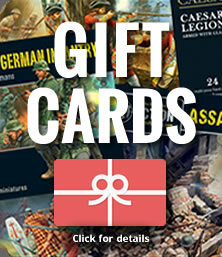 A tough, close quarters oriented army with high resilience and command values? Yes, please! A possibility to tailor my forces’ backstory in a unique way that does not contradict any of the official lore? Well, that last one is a bit unorthodox, but still very important to me, so I am glad it made it to the list too. I tried to base the composition of my initial five hundred point force on an old idea of hammer and anvil – one part is maneuverable and hard-hitting while the other remains in place and provides suppressive fire. I actually started with the cheapest of auxillary choices and went for a basic Micromite shard, that bonus to hit rolls and an extra order die is a bargain really. Selecting my support units turned out to be a bit more difficult but I after some research and words of advice from the much helpful Facebook community I gave up Rock Riders and picked two identical Mag Light Support teams equipped with reflex armour to give them some survivability. Then I decided to take one work gang with mass compactors and one unit of mag gun armed gangers to form the bulk of my army. They would play various roles, from taking objectives to just being there and, hopefully, not dying too soon. Finally, taking two Lavamite units was a no brainer, especially when I could amp them up with a suspender platform for both handlers! This will, in theory, be the tip of the hammer, causing much havoc and gnashing of teeth. All in all, that is seven dice full of lovely Rockmen and their pebbly pets with razor-sharp teeth and vindaloo breath. Enough for a start and I already have some ideas how to expand on that. I had a blast with this scenario and while I feel I still need to understand the rules properly in order to have a smooth playing experience, those three games I managed to have in a night, opened my eyes to some interesting aspects. GHAAAR are scary. When you play against GHAAAR for the first time, they are cheeky resilient blocks of immovable concrete, spitting deadly fire who just refuse to die when you most need them to. However, in time, the weight of pins on GHAAAR units takes its toll and they start to crumble. I have certainly learned it hard way. The Down order is a double-edged sword, really. You are as likely to rejoice as to curse it when it happens, it is very situational. Concord now seems a valid force to be reckoned with. 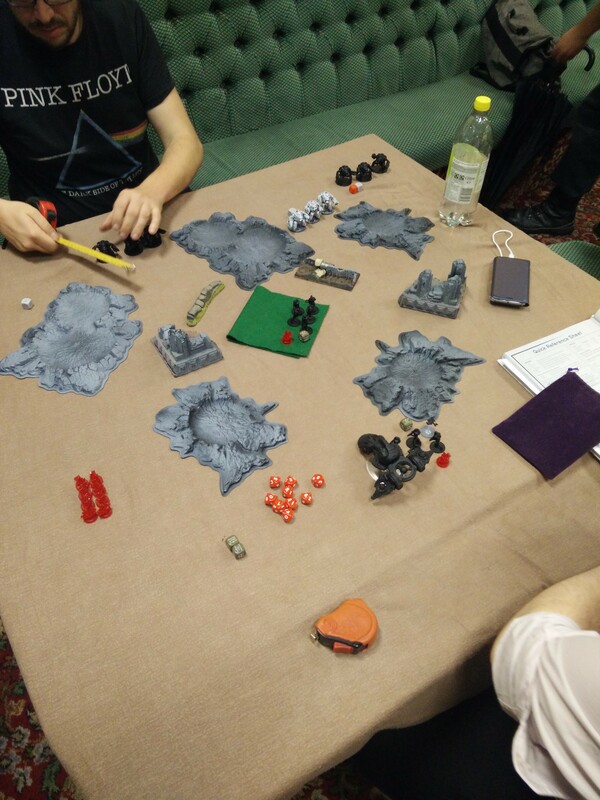 That combat drone is a beast, especially when we started using full rules for the scenario. I am now more than motivated to paint my force and delve into ‘serious’ playing. Selena awaits! The Freeborn were my faction of choice, for me it was the only option. I just love the idea of vast ship based cultures roaming the stars with only their own interests in mind and purely for profit, all whilst playing off all the other factions. From an appearance point of view they were the only faction that really appealed to me. I usually go for the standard heavily armoured guys in my wargames, so this makes a welcome change with the outlandish colours and dynamic looking figures. In a way they kind of remind me of the Quarians from Mass Effect another one of my favourite races in sci fi. Well they will if I ever get round to sticking those Concord heads on my guys. Whilst building my list I struggled to come up with a force I was happy with. I was trying to add command squads and Domari squads all while stilling getting in a large amount of Ferals, but with the points they cost I quickly realised I needed boots on the ground rather than elites. For this reason I decided to go with the 500 point Freeborn scout force that was recently released as it fit my needs perfectly. This consists of three squads of Ferals which were the main draw of the army. From an aesthetic point they really appeal to me, they look very tribal and rough, a stark contrast to the rest of the human races. I also love the background narrative of them as cheap expendable weapons. Secondly a Skyraider squad, I’m not sure how these will actually play on the table but I can picture this squad as my fast attack, zooming around the battlefield. The plan is to use the Ferals to get pins on the enemy and have these flanking the pinned down squads and also lend fire support where they are needed the most. Lastly I have one Striker Attack Skimmer. Just like above I can’t say I know exactly how this unit will play out on the tabletop but from what I’ve seen and read it should be devastating, allowing me to put down large amounts of firepower all whilst remaining highly mobile. I can imagine this as my heavy support, firing on an enemy and retreating to a safer part of the battlefield when needed. 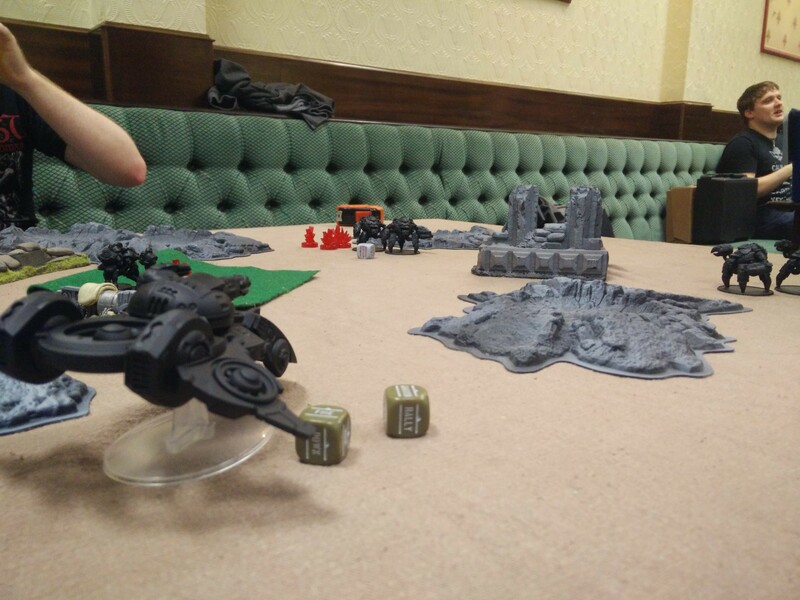 I also had my first ever game of Antares, playing through the Drone Integration scenario. 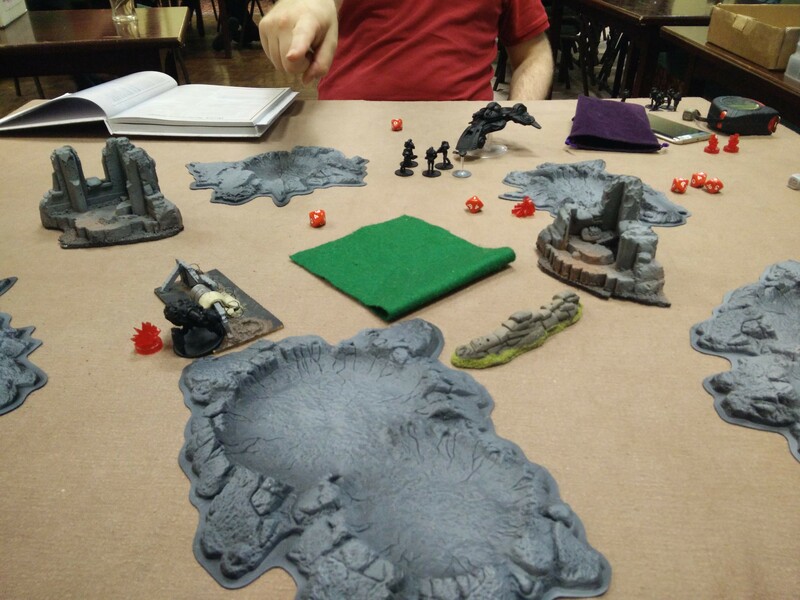 For this game we set up the table as directed in the scenario outline and used the Ghar and C3 forces. My opponent for both of these games was Artur and we took turns using both factions. For the first game we used the basic rules as outlined in the scenario. I played as the Ghar and quickly realised I had to play aggressive and try stop the activation of the drone. Throughout this game I managed to pin down one squad and reduce its numbers but was unable to stop the drone activation, despite this the drone was virtually useless against me due to bad rolls. I managed to fully destroy one squad and quickly destroy the Drone securing the win. In the second game we swapped sides and decided to add a few more advanced rules to try and get to grips with them. With the C3 I decided to get the drone activation as early as possible using one squad to act as a bullet sponge, this worked and I quickly had the drone up and running and dishing out punishment. With some damage to one squad and hardly any on the other, I was able to get another victory. 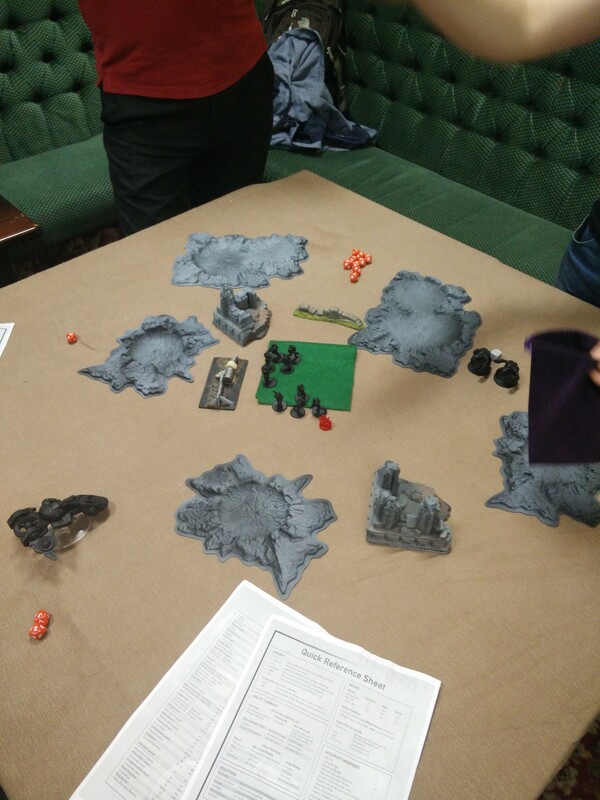 Overall I really enjoyed my first games and it was great to finally get to grips with the ruleset. I found myself trying to play Bolt Action at a few points so it will just take me a while to get used to the differences. 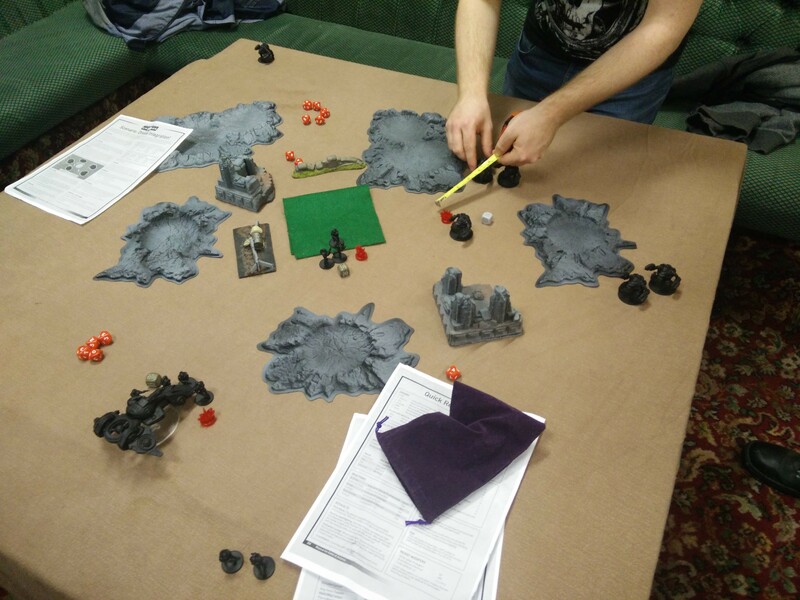 As a group we found that adding the more advanced rules led to a more enjoyable experience. Out of the two armies I can see myself grabbing some Ghar as my second army as I now having played and seen them in person like them a lot. What factions did I choose? Well it took me a while really to figure out what I wanted to use as pretty much all the armies looked nice and the brief info about them all was very appealing. I settled on Concord after chatting with the group and seeing what they wanted to use, most of the others had one or two choices which gave me several to go with. I wanted to make sure we all had different ones as thought it would make for more fun doing mini campaigns. I also looked at some YouTube videos and little reviews and heard more about each faction, from this I liked the idea of how the Concord are with the machine human interface and potential for cloning and thought ok I think I have an idea with Concord and that made my choice. What you picked for your force and why? 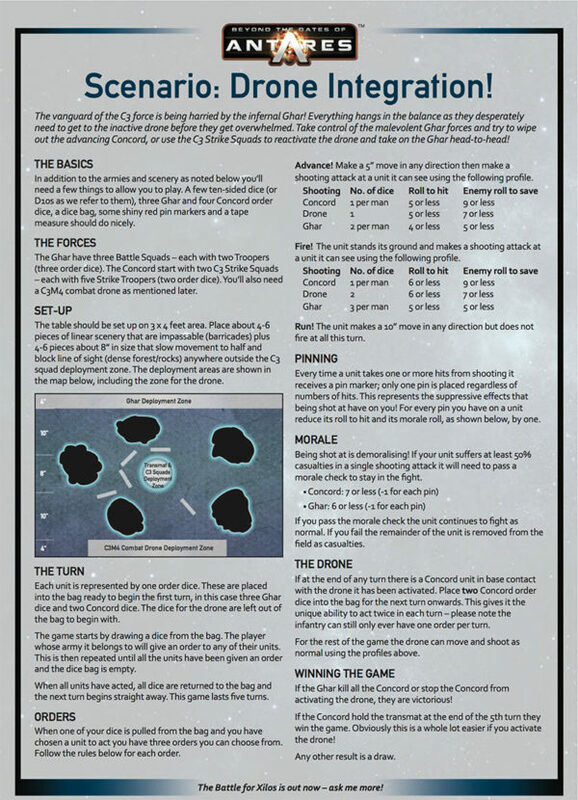 Once I got the pdf of the rules I quickly looked into what I could potentially use for my force. While looking through the force I spotted the X-Launcher and thought mmm think I like the idea of blowing stuff up from a safe distance. I had to resist SO much to not use the NuHu Mandarin as after reading about it I knew who would be leading my force once I start to expand it. When I heard some of the podcasts talk about them being elite I thought ok I will get something written up for the Mandarin commanding from a distance for now. With the idea for clones I decided to go for the C3 Strike Squads supported by the C3 Support Team X-Launcher. 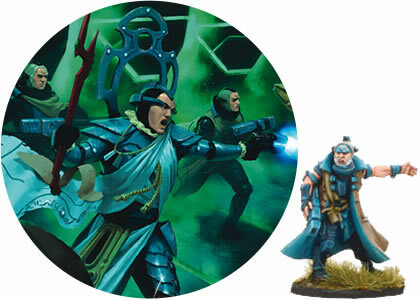 I thought I want as many dice in the bag as I can so I can get my units activated but also looked into additional fire power which meant giving the Strike Squads each a Plasma Lance so I can have them all packing a nice little punch. I played the Ghar first time in the scenario mainly as I was going to use Concord I thought I’d give the Ghar a go. It ran very well although my dice rolls were so poor I don’t think my Ghar could hit the planet they were stood on. I did eventually put a nice hole in a lot of the C3 Concord but forgot about the mission and the last turn had the Concord sat right where they needed to grr… The Second game we switched and used the full rules for weapons orders and effects. Oh that Drone is SO lovely and I was hitting lots but the Ghar… My, aren’t they tough little pains to get rid of. All in all when I finished I was very excited to be getting my 500pts built ready for taking on the others in my group. You can download your own copy of the scenario by clicking the image below! You can use the C3M4 combat drone or a standard C3D1 Light support drone as a proxy without changing its rules to get you started! 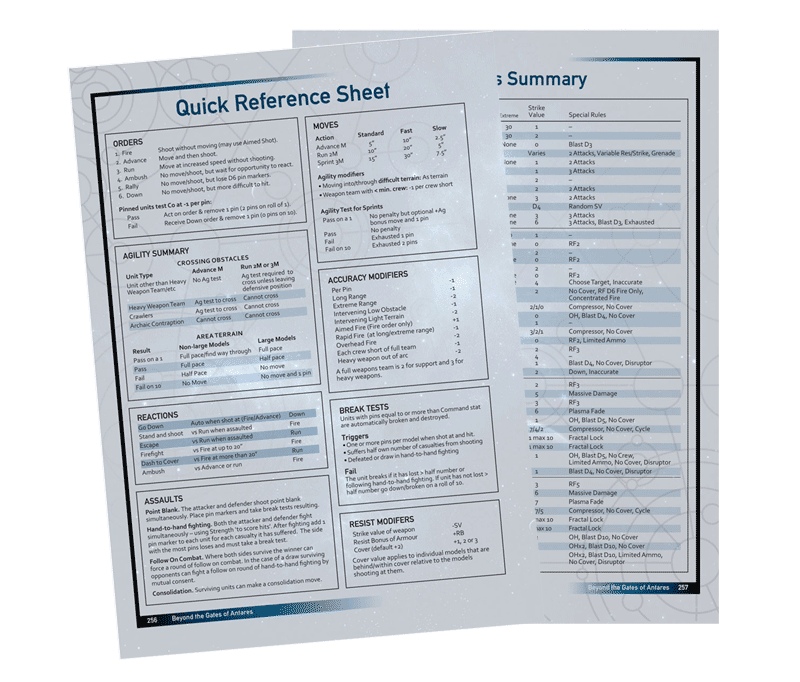 This information is taken from pages 256 & 257 of the Beyond the Gates of Antares rulebook, please download it and print as you see fit – it’ll help tremendously with your games! 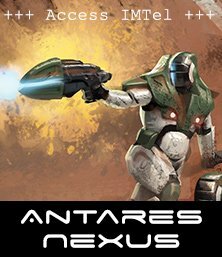 For a brief summary of some of the key points of Antares gameplay, take a look at this webpage.